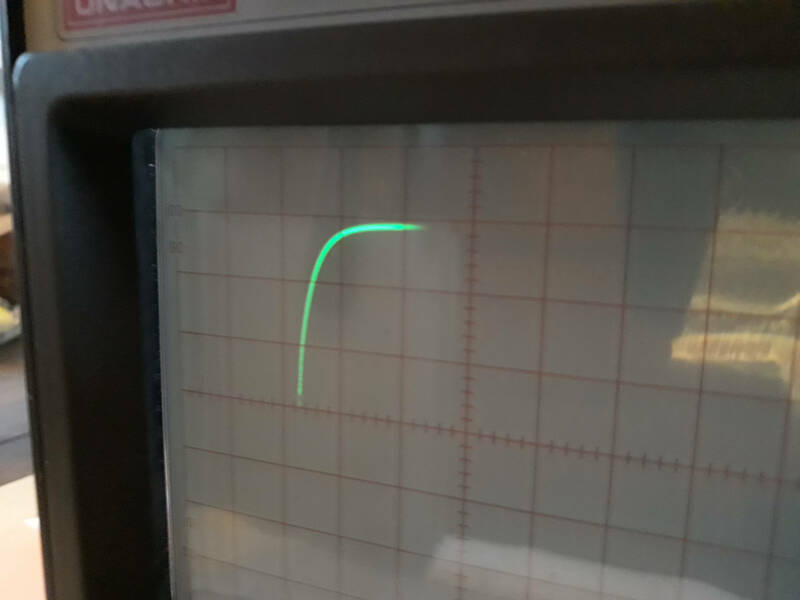 and other signal in the cinescop. so the screen - cinesc. is working. and the dot go up - down, invert, etc. Manual and schemat. I have the French and Germany version. Can you please provide help? Repaired and test all other Volts. Hi: It is noticeable that on schematic (drawing) is missing the negative supply (-12V) value. Their values looks good, but as You have already mentioned, you checked it. Do not use WD40 in electronics because that is an oil based substance. Use isopropyl alcohol or Kontakt WL. Could you please take a video about the issues because sometimes is not clear. Upload it to Youtube or your cloud. If you have a dot instead of line is very important to know where is it located. If it lit on the left side of the screen means the trigger signal is missing. It the dot is in the middle of the screen means the horizontal deflection (or timing south wave signal) is missing. 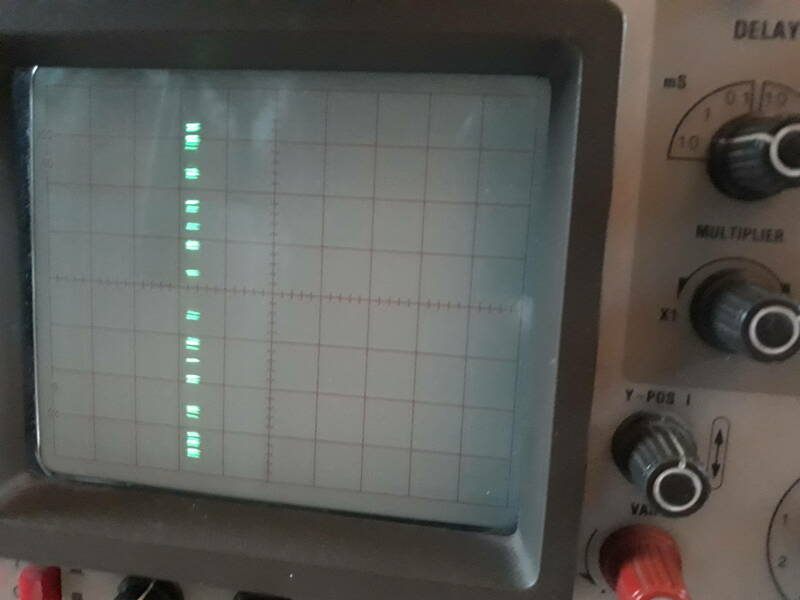 If you can move the dot from the left side to the right side of the screen (reel-to-reel) with the X-POS pot means the X deflection power amplifier is working. So I think we need more precise information to be able to help. At the beginning the "X-Y" switsch must be on "Y" pos. Is this setting on right position? If YES then the problem is mainly in TIME-BASE generator (page 41 from Your linked file) or in triggering/SWEEP GENERATOR stages: if the trigger signal missing, the Time-base generator will not start particularly in NORMAL mode. I have (some) scanned pages from english user manual. If You can not find it elsewhere, I will upload it. >At the beginning the "X-Y" switsch must be on "Y" pos. >Is this setting on right position? >If YES then the problem is mainly in TIME-BASE generator (page 41 from Your linked file) or in >triggering/SWEEP GENERATOR stages: if the trigger signal missing, the Time-base generator will not start >particularly in NORMAL mode. I have other Scopes ... I have experience ... NO that's not the problem. the Sawtooth in R6001, R6002, R961 and T908. And we can see the changes HoldOFF and CAL. > I have (some) scanned pages from english user manual. If You can not find it elsewhere, I will upload it. I have the French Version too. With a Time/Div we can see a dot. If we set a smaller Time / Div we get a comet. With a sinos. wave we see the initial start of the wave and then disappear the rest of wave. Please, can You check the blanking pulse changing? ...only because of lighter search: start measure, for example from R734. >Please, can You check the blanking pulse changing? ...only because of lighter search: start measure, for example from R734. >Yes and R552, T507 .. but only in a few days, the scope in another warehouse. Please can you describe further info ... this spot? - "I can move the dots ..., LEFT and RIGHT". Is the X-FINAL amplifier tested, as good? - "...see the initial start of the wave and then disappear the rest of wave"
Is it sudden or gradual? >- "I can move the dots ..., LEFT and RIGHT". > On full display width? > Is the X-FINAL amplifier tested, as good? > - "...see the initial start of the wave and then disappear the rest of wave"
> Is it sudden or gradual? If you observe a sin or a square ... we saw the first rise, no initial plateau (no fall) ... disappear the rest to the right. The noise ( 220V ) from the house circuit ... we see lots of dots - vertical. Hi: In my opinion, the blanking circuit will remain to need check. I mean, The "chopped blanking" from Y-stage (IC401 thru) and from the above mentioned line R734 too. > Hi: In my opinion, the blanking circuit will remain to need check. > I mean, The "chopped blanking" from Y-stage (IC401 thru) and from the above mentioned line R734 too. > Both, to the CRO-cathode. 1 - The procedure is select CHOP in front panel and ... ? De-select CHOP ? observe the signal? 2 - I don't have a 2000 V Probe. So I can't R575, R576 ( -1867V ) arc? 3 - Clean the VR567 with Kontakt, WD40 Specialist or ... ? You work with Scopes and DMM ? ” 2 - I don't have a 2000 V Probe. So I can't R575, R576 ( -1867V ) arc? in my opinion WD40 has to banned from (fine) electronics! Not that one for Car and Bic. And what are your suggest? Any other brand for the knobs in front panel? I do know only the classic WD40 and its agressive for electrical cards, caused after some time corrosive problems & advertisings are not 100% to belive-or you can? >” 2 - I don't have a 2000 V Probe. So I can't R575, R576 ( -1867V ) arc? All my Scope probe are 600 V and the plastic and wire ... not rated for this Volts. "All my Scope probe are 600 V and the plastic and wire ... not rated for this Volts. I used this type of attenuator to measure the HV source of an oscilloscope. At 2KV, it is unlikely to arc. I had built this type of attenuator on a perfboard. The link below has the description. >Do not use WD40 in electronics because that is an oil based substance. Use isopropyl alcohol or Kontakt >WL (link is external). https://www.wd40specialist.com/p... and this one too? I only use Kontakt ... any CRC? 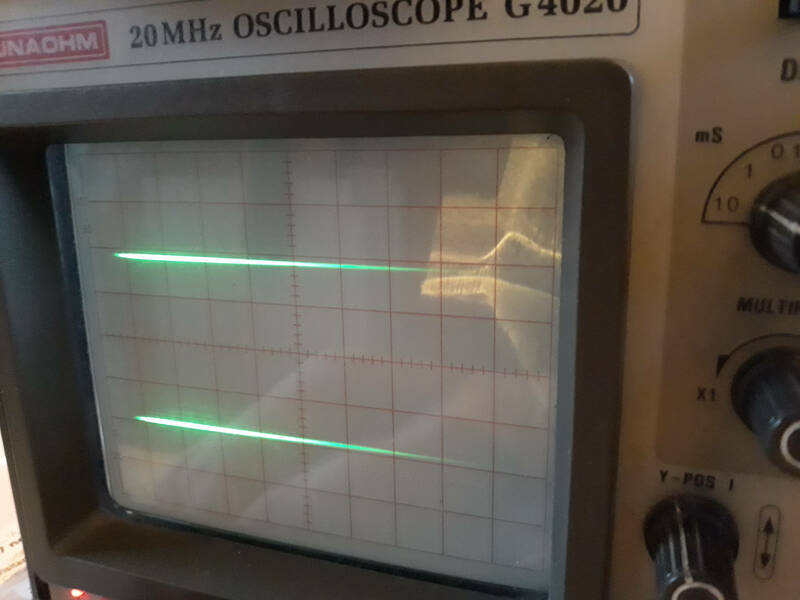 >I used this type of attenuator to measure the HV source of an oscilloscope. >At 2KV, it is unlikely to arc. I had built this type of attenuator on a perfboard. >The link below has the description. >Their values looks good, but as You have already mentioned, you checked it.